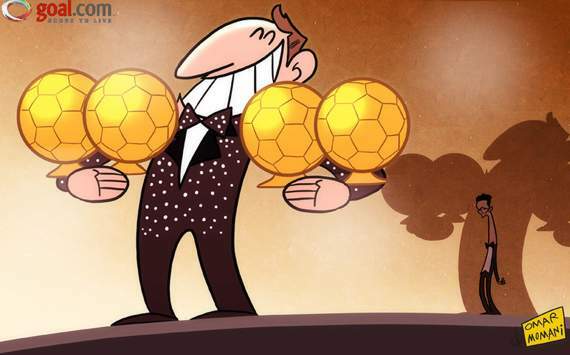 Lionel Messi made history on Monday night, securing his fourth Ballon d’Or – more than any player has ever managed. The Argentine’s brilliance saw him deservedly crowned the best player in the world, but spare a thought for Cristiano Ronaldo, who was once again pipped to the post by the Barcelona man. Leading Real Madrid to the Liga title over the Blaugrana was not enough for the Portugal captain, who couldn’t even grab more attention with his suit than Messi at the glitzy ceremony in Zurich.